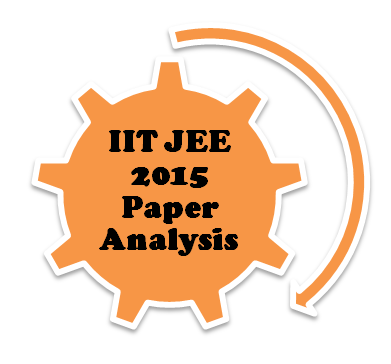 JEE Advanced, conducted only for admission to the IITs and ISM Dhanbad. 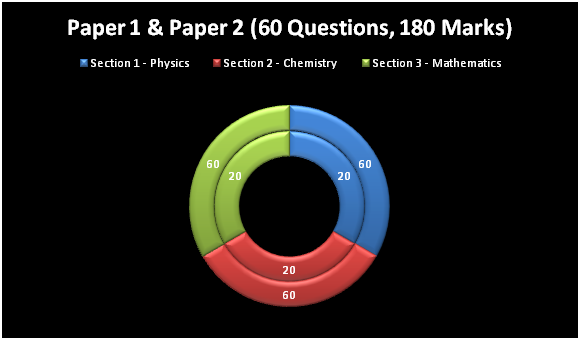 Close analysis of JEE Main and JEE Advanced analysis reveals important clues to the new paper pattern of the exams, types of questions asked in the exam, and difficulty level of these questions. 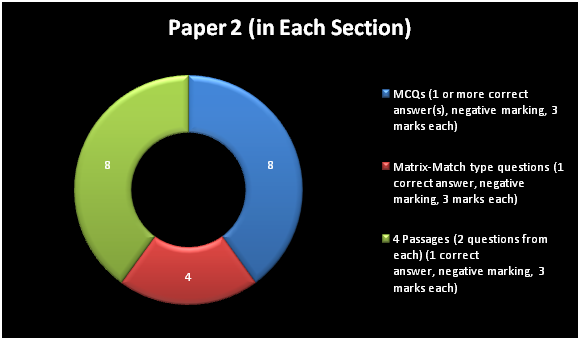 Our experts also paid attention to marks distribution between topics taught in Class 11 and in Class 12 for different subjects. 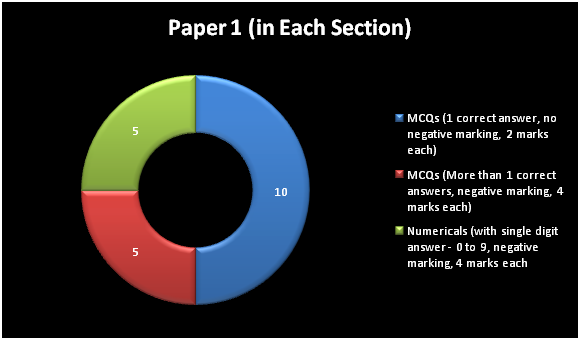 Note: All questions with negative marking will carry a penalty of -1 mark for wrong answer. 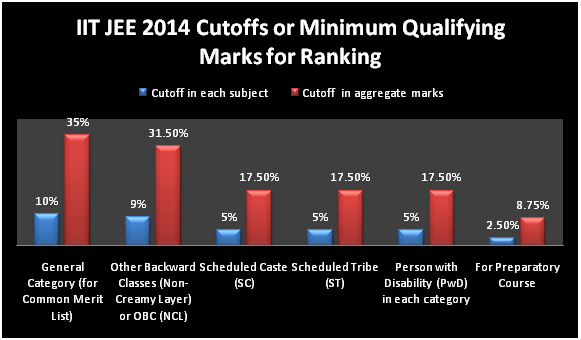 Merit List for Preparatory Course will only be declared if number of eligible SC, ST and PwD candidates is less than 1.4 times the seats reserved for them at the IITs and ISM Dhanbad.